The Chess World Cup 2013 was a 128-player single-elimination chess tournament, played between 11 August and 2 September 2013, in the hotel Scandic Tromsø in Tromsø, Norway. 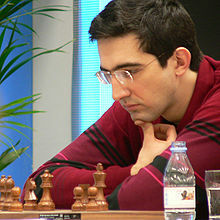 It was won by Vladimir Kramnik, who defeated Dmitry Andreikin 2½-1½ in the final match. The finalists qualified for the 2014 Candidates Tournament.